In 1964, Amelia Boynton became both the first African-American woman and the first female Democratic candidate to run for a seat in Congress from Alabama. Amelia Boynton was born on August 18, 1911, in Savannah, Georgia. 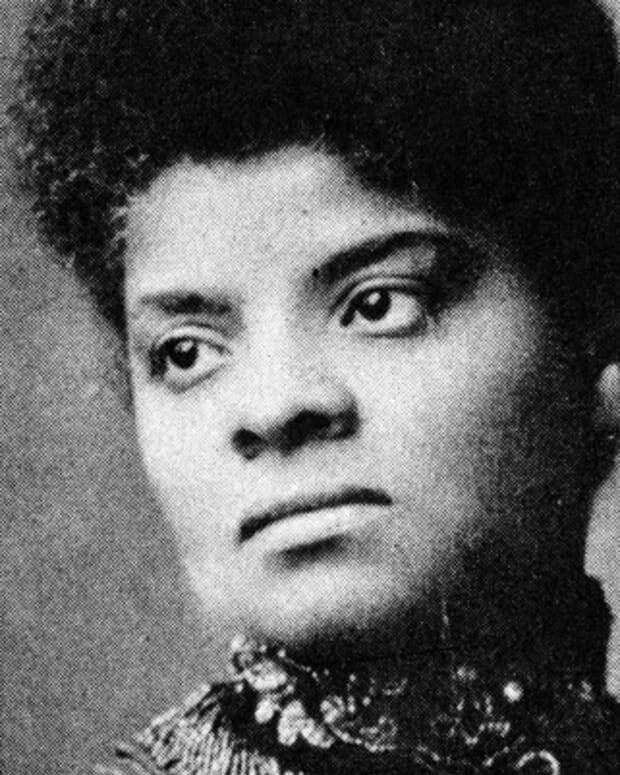 Her early activism included holding black voter registration drives in Selma, Alabama, from the 1930s through the &apos;50s. In 1964, she became both the first African-American woman and the first female Democratic candidate to run for a seat in Congress from Alabama. The following year, she helped lead a civil rights march during which she and her fellow activists were brutally beaten by state troopers. 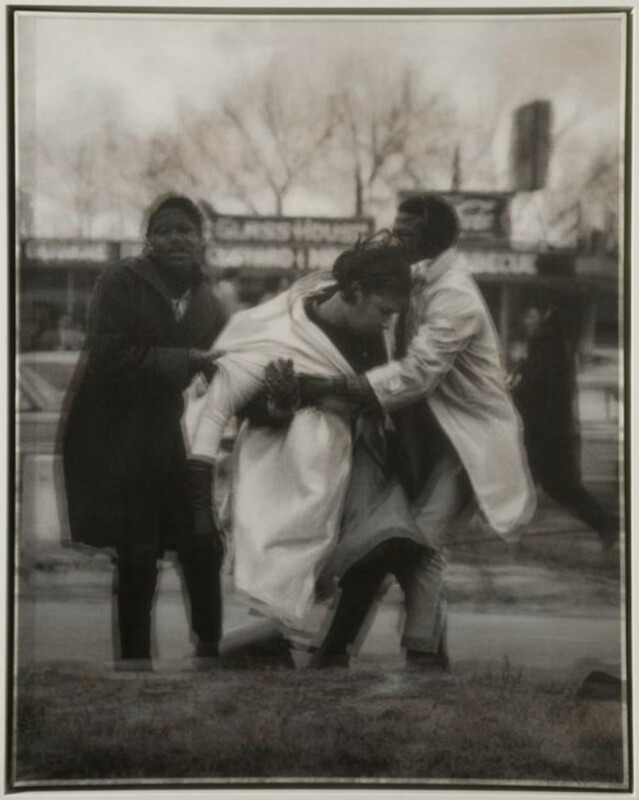 The event, which became known as Bloody Sunday, drew nationwide attention to the Civil Rights movement. In 1990, Boynton won the Martin Luther King Jr. Medal of Freedom. She died on August 26, 2015 at the age of 104. 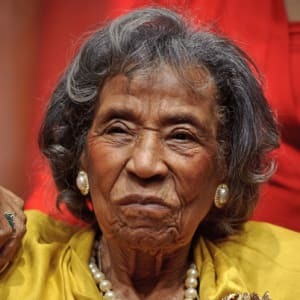 Civil rights activist Amelia Boynton was born Amelia Platts on August 18, 1911, to George and Anna Platts of Savannah, Georgia. Both of her parents were of African-American, Cherokee Indian and German descent. They had 10 children and made going to church central to their upbringing. 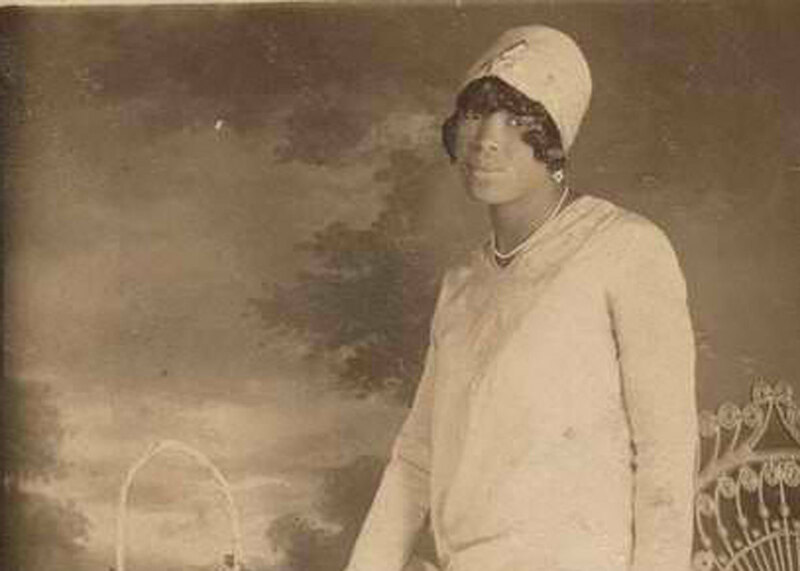 Boynton spent her first two years of college at Georgia State College (now Savannah State University), then transferred to the Tuskegee Institute (now Tuskegee University) in Alabama. She graduated from Tuskegee with a home economics degree before further pursuing her education at Tennessee State University, Virginia State University and Temple University. After working as a teacher in Georgia, Boynton took a job as Dallas County&apos;s home demonstration agent with the U.S. Department of Agriculture in Selma, Alabama. 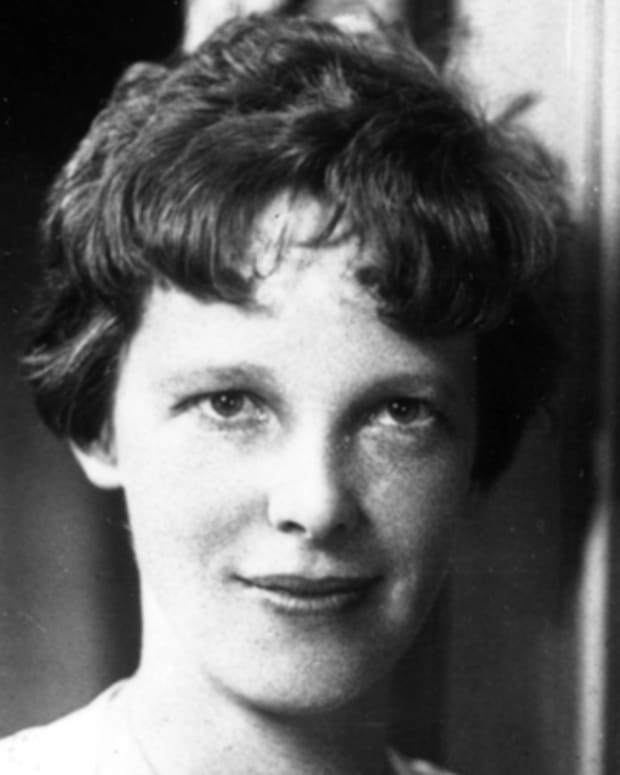 In 1930, she met her co-worker, Dallas County extension agent Samuel Boynton. The two had in common their impassioned desire to better the lives of African-American members of their community, particularly sharecroppers. The couple married in 1936 and had two sons, Bill Jr. and Bruce Carver. Over the next three decades, Amelia and Samuel collectively worked toward achieving voting, property and education rights for poor African Americans of Alabama&apos;s farm country. Boynton&apos;s early activism included co-founding the Dallas County Voters League in 1933, and holding African-American voter registration drives in Selma from the 1930s through the &apos;50s. Samuel died in 1963, but Amelia continued their commitment to improving the lives of African Americans. In 1964, as the Civil Rights Movement was picking up speed, Amelia Boynton ran on the Democratic ticket for a seat in Congress from Alabama—becoming the first African-American woman to do so, as well as the first woman to run as a Democratic candidate for Congress in Alabama. Although she didn&apos;t win her seat, Boynton earned 10 percent of vote. 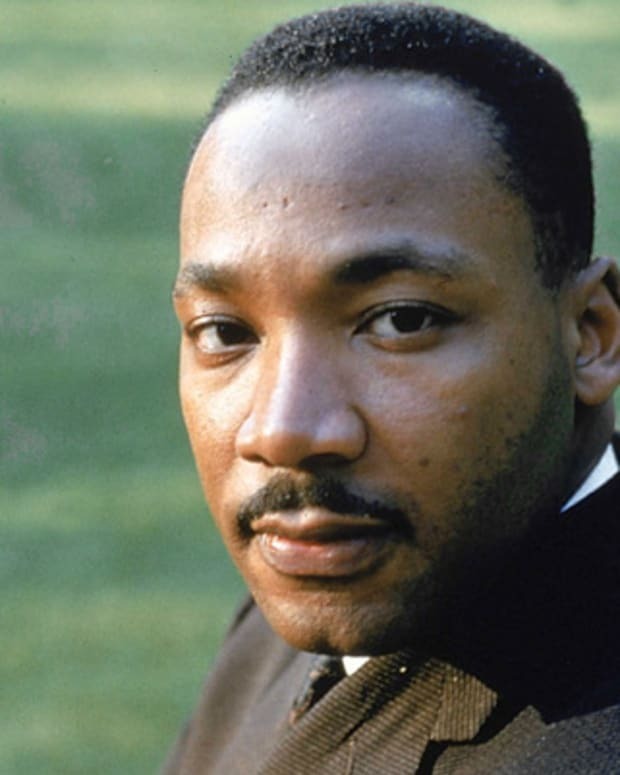 Also in 1964, Boynton and fellow civil rights activist Martin Luther King Jr. teamed up toward their common goals. 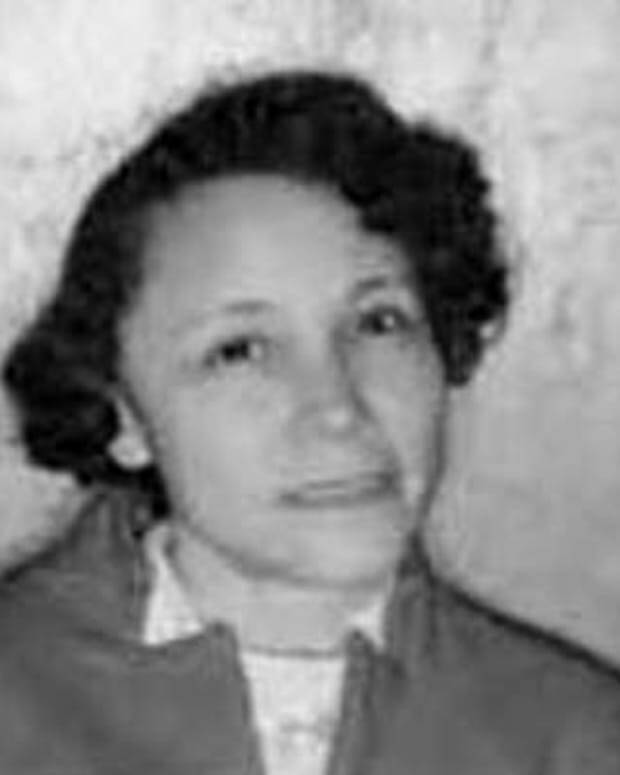 At the time, Boynton figured largely as an activist in Selma. Still dedicated to securing suffrage for African Americans, she asked Dr. King and the Southern Christian Leadership Conference to come to Selma and help promote the cause. King eagerly accepted. Soon after, he and the SCLC set up their headquarters at Boynton&apos;s Selma home. There, they planned the Selma to Montgomery March of March 7, 1965. 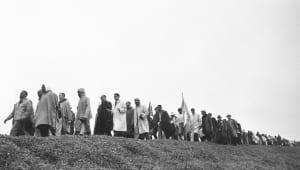 Some 600 protesters arrived to participate in the event, which would come to be known as "Bloody Sunday." 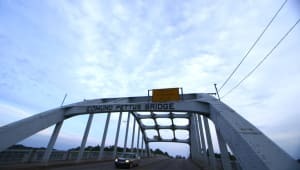 On the Edmund Pettus Bridge, over the Alabama River in Selma, marchers were attacked by policemen with tear gas and billy clubs. Seventeen protesters were sent to the hospital, including Boynton, who had been beaten unconscious. 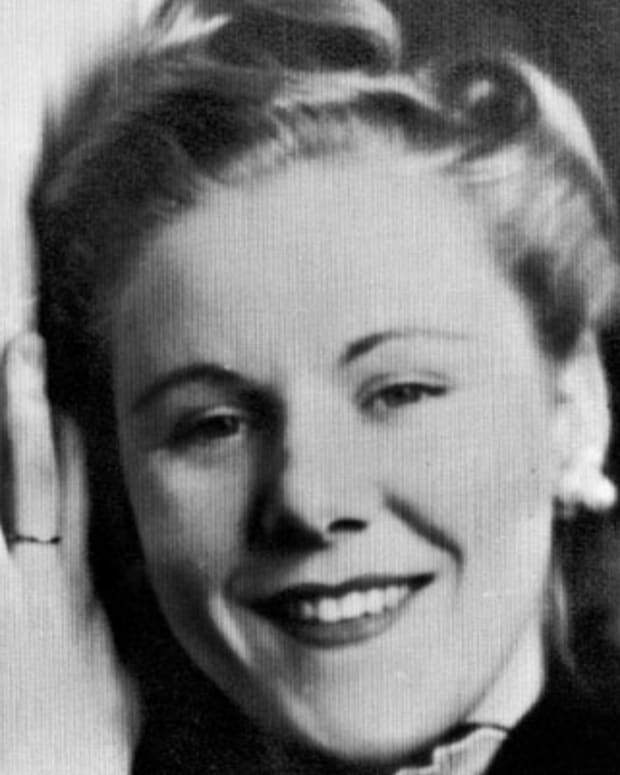 A newspaper photo of Boynton lying bloody and beaten drew national attention to the cause. Bloody Sunday prompted President Lyndon B. Johnson to sign the Voting Rights Act on August 6, 1965, with Boynton attending as the landmark event&apos;s guest of honor. Boynton remarried in 1969, to a musician named Bob W. Billups. He died unexpectedly in a boating accident in 1973. 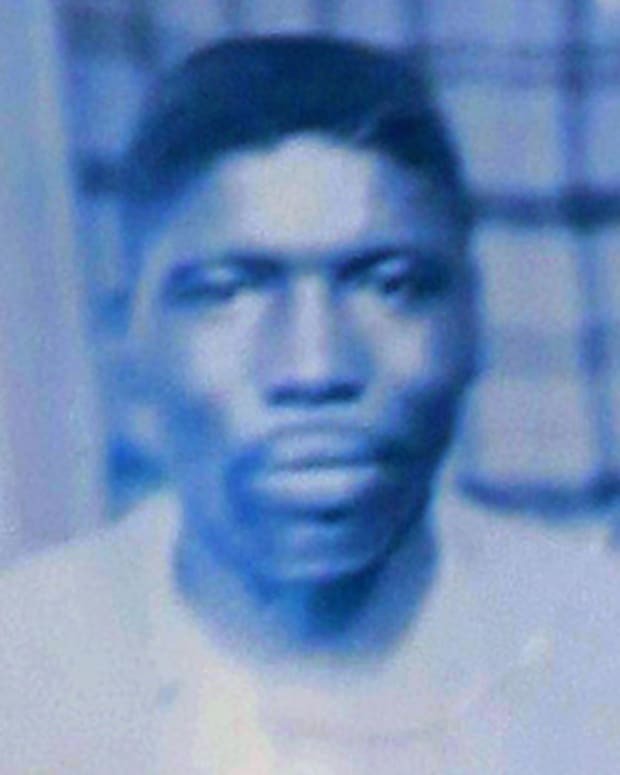 Boynton eventually married a third time, to former Tuskegee classmate James Robinson, and moved back to Tuskegee after the wedding. When Robinson died in 1988, Boynton stayed in Tuskegee. Serving as vice chair of the Schiller Institute, she remained active in promoting civil and human rights. In 1990, Boynton Robinson was awarded the Martin Luther King Jr. Medal of Freedom. She continued to tour the United States on behalf of the Schiller Institute, which describes its mission as "working around the world to defend the rights of all humanity to progress—material, moral and intellectual," until 2009. In 2014, a new generation learned about Boynton Robinson&apos;s contributions to the Civil Rights Movement from the Oscar-nominated film Selma, a historical drama about the 1965 voting rights marches. Lorraine Toussaint portrayed Boynton Robinson in the film. A year later, Boynton Robinson was honored as a special guest at President Barack Obama&apos;s State of the Union address in January 2015. In March of that year, at the age of 103, Boynton Robinson held hands with President Obama as they marched alongside fellow civil rights activist Congressman John Lewis across the Edmund Pettus Bridge to mark the 50th anniversary of the Selma to Montgomery march. 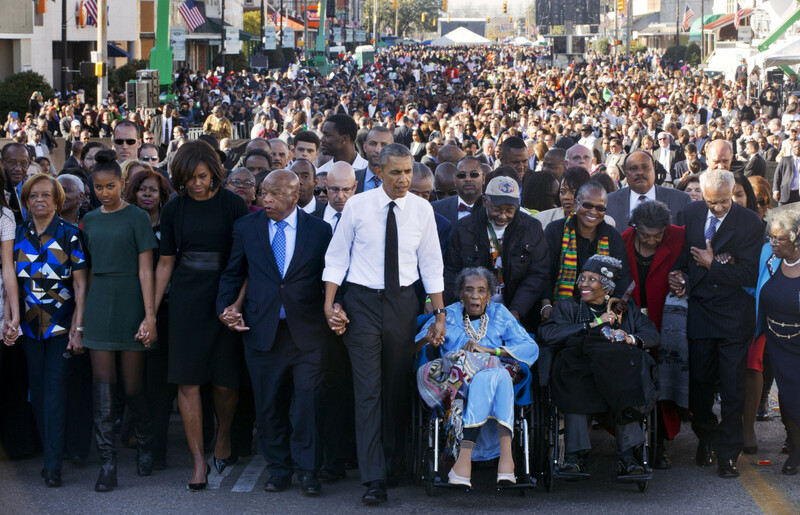 President Barack Obama holds hands with civil rights activists Amelia Boynton Robinson, seated in a wheelchair, and John Lewis as they commemorate the 50th anniversary of the Selma to Montgomery March. 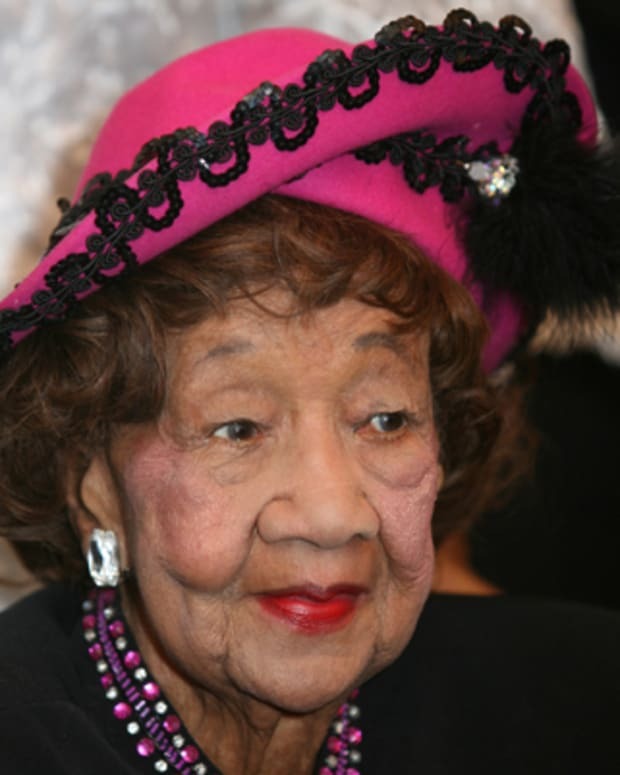 After suffering several strokes, Boynton Robinson died on August 26, 2015 at the age of 104. 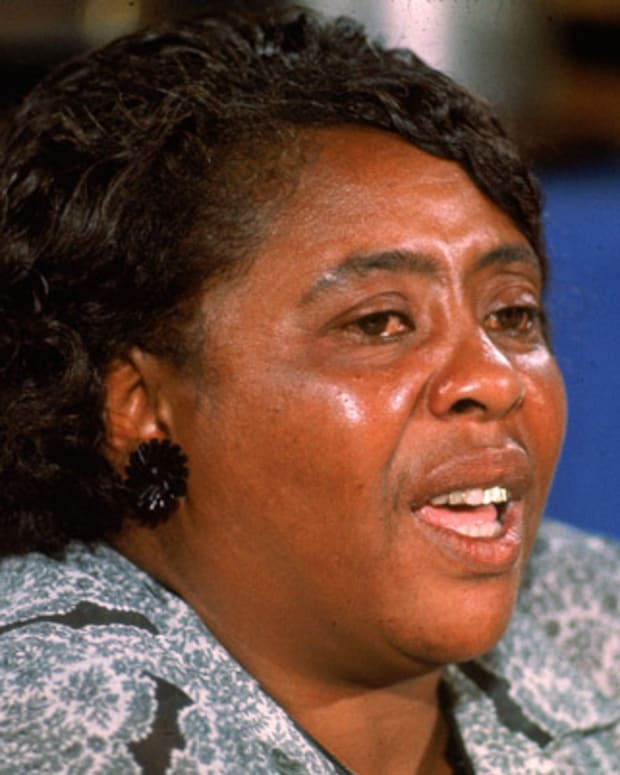 Her son Bruce Boynton said of his mother&apos;s commitment to civil rights: "The truth of it is that was her entire life. That&apos;s what she was completely taken with. 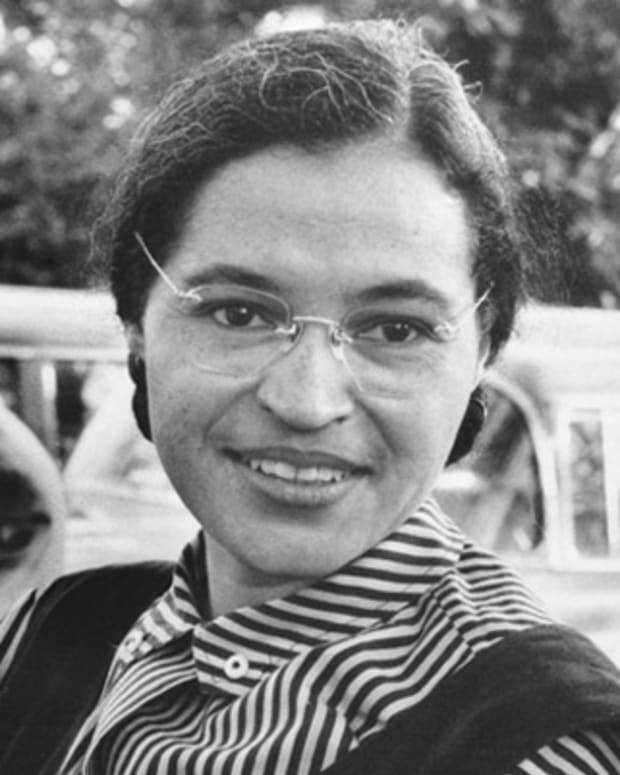 She was a loving person, very supportive — but civil rights was her life."